Ryssdal, an Emory alumnus, will deliver Goodrich C. White Lecture on campus at 7:30 p.m., Tuesday, Feb. 4 in the Schwartz Center for Performing Arts. 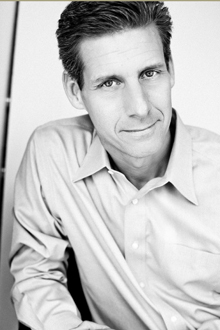 Kai Ryssdal, host of public radio’s "Marketplace," will present this year’s keynote address at Emory University's Founders Week, which commemorates the founding of Emory College. Ryssdal, an Emory alumnus, will deliver Goodrich C. White Lecture on campus at 7:30 p.m., Tuesday, Feb. 4 in the Schwartz Center for Performing Arts. His topic will be "Repeat after me: The Dow Jones is Not the Economy—and Vice Versa!" The event is free and open to the public, but tickets are required. Tickets are available online or by calling 404-727-5050. After graduating from Emory College in 1985, Ryssdal spent eight years in the U.S. Navy with the aircraft carrier U.S.S. Theodore Roosevelt and as a Pentagon staff officer. He also was a member of the U.S. Foreign Service in Ottawa, Canada, and Beijing, China. Since 2005, he has served as host and senior editor of "Marketplace," a public radio program covering business and the economy. Emory's Founders Week is a midwinter academic festival, which runs Feb. 2-9, and celebrates the university’s intellectual life with artistic, social and cultural events.